Sometimes you want to contact officials that are not part of our standard state and federal databases (or in another country that we do not yet provide data for). Or perhaps you want to contact decision makers on a committee, company board or panel? You may even want to search for something entirely different, like a brand or geographic area and return some information that your supporters can act on (sending you or someone an email or calling a number to voice an opinion). 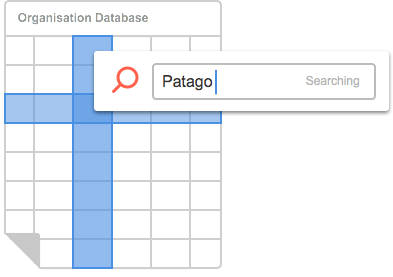 Our custom data search tool is a surprisingly flexible tool that provides you with the ability to upload a custom data table and and make any field searchable. Your supporters will see the search terms using a predictive text field making it easy to find what they are searching for quickly. You then choose who or what they see and do next. So in this example we are searching for companies (Company 1-3 are shown with 2 options provided for Company 2 by creating two rows) allowing supporters to email the CEOs with some extra information provided to guide the conversation. See this example in action here. That's it! You can add as many fields as you like, and the search terms and responses can be anyone or anything. Plus you can do the exact same thing for telephone call-in campaigns as well. Just replace email address with telephone number and you're good to go! NOTE: Images may take a while to appear as they are imported into the platform if you have a large csv file with lots of rows.